Farhyo Ibrahim is a janitor working for ABM at the Seattle Tacoma airport. A member of SEIU Local 6, she was asked to help campaign for the reelection of her local leadership. When she refused, her employer transferred her to the graveyard shift, explaining that this was coming from the union itself. Why is Farhyo and dozens like her supporting an opposition slate of candidates, even at the cost of harassment on their jobs? Mike Ladd, opposition candidate for executive board, explains: “the main issue is the work load. Over the years, the janitorial companies have been increasing and increasing the work load, and if you don’t complete the amount assigned to you, you will get written up. We’re being asked to clean more and more space at the same quality or higher. Mike added that in one infamous case, a worker who was assigned to work alone passed out and actually died on the job a few years back. At times, grievances are filed, but this procedure is extremely time consuming and bureaucratic, and often times, even if the member wins the grievance, the employer “just blows us off,” Mike says. And the union leadership is extremely reluctant to go to the final step of arbitration, which they say is too costly. It seems there are several issues involved here. On the one hand, outside of Seattle there is a high vacancy rate in office buildings. So the property owners put pressure on the building maintenance contractors, who take it out on their employees. “S__t runs downhill,” as they say. This is connected with the general union busting that is happening right throughout all sectors of the US economy. On the other side, the entire union leadership in one way or another follows the “team concept” or “union management partnership”. This means they support the idea that the union and the unionized employers are on the same team, that they are in a partnership. The inevitable result is that the union leadership will help the unionized employers keep labor costs down to help them compete with the non-union. In practice, this means that the unionized workers have to compete with the non-union ones for who will work cheaper. This destroys the entire purpose of having a union, which is to get rid of that sort of competition. We saw this in action in the campaign for a $15 per hour minimum wage at the SeaTac airport. There, the unionized employers were excluded from having to pay that wage. David Rolf, another SEIU union leader, explained We always want to offer an olive branch and a high road approach to employers of conscience who prefer to have direct and honest relations to unions that they are facing across the bargaining table.” Sergio Salinas, President of SEIU Local 6, also participated in that campaign at SeaTac and apparently has no problems with this approach. So, in order to really fight the issue of increased work load, a direct open confrontation with both the janitorial service companies (many of which are nation-wide) and the property owners would be necessary. Simply filing grievances won’t do it, as members of Local 6 have seen. And there lies the problem, as Mike explains: “The union leaders don’t want any sort of movement that’s out of their control directly. Because if it is, it’s going to take on its own life, it’s going to take on it own demands, and its own political position. It’s not going to accept the conservative position of the labor leadership and the Democratic Party. That’s why they’re afraid of another ‘WTO moment.’ But they’re always trying to avoid a struggle because it emboldens people. 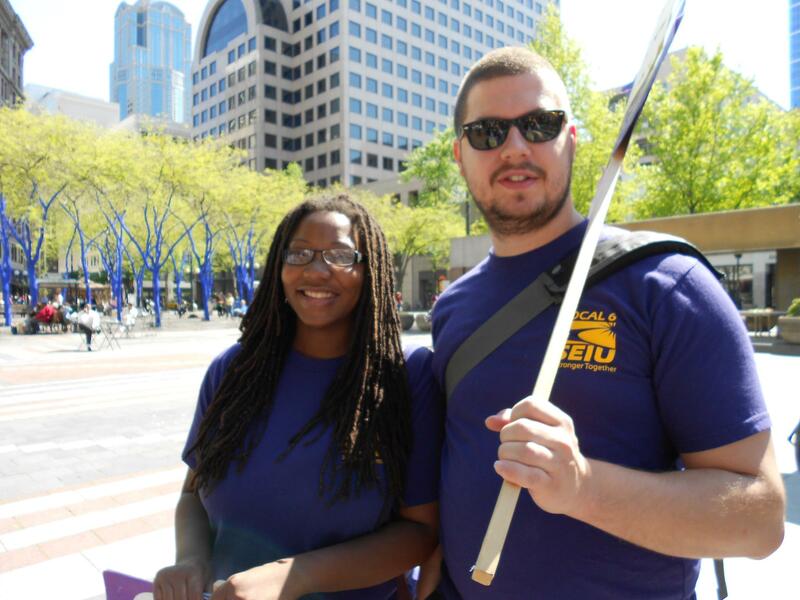 Member’s Power and Democratic Reform at SEIU 6 is a grassroots campaign made up of rank and file janitors, security officers, and allied industry workers. We fight for and demand that all major decision making power be placed directly back into the hands of the union membership, and that all elected officers and full time staff should be held accountable to the will of the members they are paid to serve. We are sick and tired of seeing the employers grow rich while our union staff turns a blind eye to the problems facing our fellow members every day, such as ever increasing amounts of workload (speedups) which has lead to janitors dying on the job. We are sick and tired of seeing good and honest shop stewards and workplace leaders blacklisted, isolated, and ostracized for zealously fighting for their coworkers and having the courage to stand up to the current President Sergio Salinas and his wrong doings. The internal climate today is that of fear for the average worker. Union staff and leadership should be here to help us – not rule over us. He is a perfect example of the link between many NGO’s (where he first worked) and the union bureaucracy. Union supporters shouldn’t be fooled by his “progressive” into thinking that he fights for his members. And we are sick and tired of fighting hard to protect our communities while the current union leadership cuts deals behind our backs while the bosses and big business politicians. We cannot survive on another four years of “modest” (translation: meager, stagnating) contracts and living standards. In nearly a decade long reign as President, Sergio Salinas has enjoyed little or next to no official opposition to his policies during union elections. That all changed with the formation of Members’ Power and Democratic Reform Campaign last month. Since then the environment within the union and in the workplace has become ever more repressive. Amelia Vassar, candidate for president, was first declared ineligible to run for president by Sergio’s hand-picked election committee. The reason given was that she was on staff and had never worked in the industry. That is the exact same situation that Sergio was in when he first ran for office in the local. After she was declared ineligible, this single mother was called in and fired for “disloyalty.” Oakland Socialist urges all unionists and all socialists to support this opposition slate. We don’t know everything about them, but if they are campaigning around the issue of really fighting the employers, they must be on the right road. 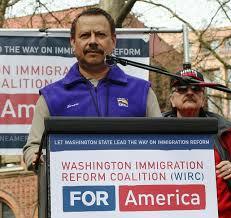 They are having a rally on this Saturday, Oct. 18, at 1:00 p.m. at SEIU Local 6 hall, 3720 Airport Way S. in Seattle. We urge union supporters to attend. Radio show: What is socialism?